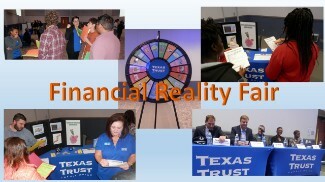 The Annual Phoenix Academy Financial Reality Fair sponsored by Texas Trust Credit Union was bigger than ever! This year, Ben Barber joined us for the event at the MISD Center for the Performing Arts. Students learned about the reality of budgeting and how to make a dollar stretch.